The Dualmax from Saratoga Technologies features advanced software and an ergonomic design that makes it easy to switch between handpieces. With the Dualmax, it’s easy to adjust settings to customize treatments to suit virtually all skin types. The Saratoga Technologies Dualmax laser system is an intense pulsed light system that delivers 80,000 to 100,000 pulses at an affordable cost per pulse. The system has a fast repetition rate, allowing users to choose a pulse rate as high as 10 pulses per second. With unique water cooled handpieces that go down to -4C, the Dualmax offers maximum comfort for the client and optimum effectiveness. 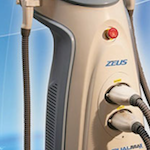 The Dualmax makes it easy to provide a more comfortable treatment for clients with faster treatment times. The system is perfect for hair removal and treatments to remove pigmentation, cutaneous lesions ands scars, vascular lesions and acne. The reliable system comes with two crystal-tip handpieces with 12mm x 30 mm and 15mm and 50mm spot sizes for safe, effective face and body treatments. If you are interested in finding out more about the Saratoga Technologies Dualmax laser system to your dermatology practice, medical spa or aesthetician office, UsedCosmetic.com will give you pricing information with zero obligation. Here at UsedCosmetic.com, we are the industry leader in used cosmetic laser system sales because we offer the lowest prices, in addition to a 100% customer satisfaction guarantee along with every single used cosmetic laser system we sell. To find out more about the used Saratoga Technologies Dualmax laser machines in our inventory, simply fill out our contact form below, and one of our trusted representatives will get back with you quickly with all the answers to your questions about the Saratoga Technologies Dualmax laser system.